Good afternoon, and Happy Spring Break! I think that we can safely (hopefully?) say that we have used the last of our snow days! 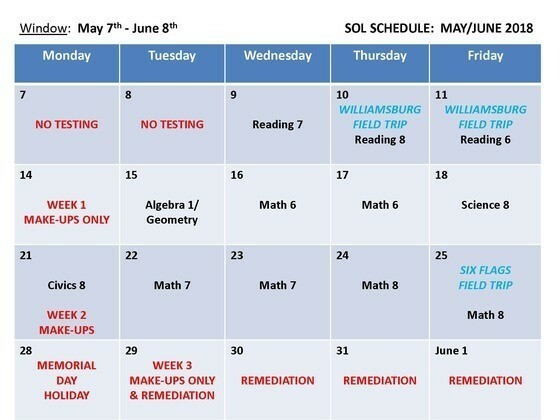 When students return from Spring Break on Tuesday, April 3rd, we will have 2 weeks of 3rd quarter remaining, and we will be in the final stretch to the end of the school year. 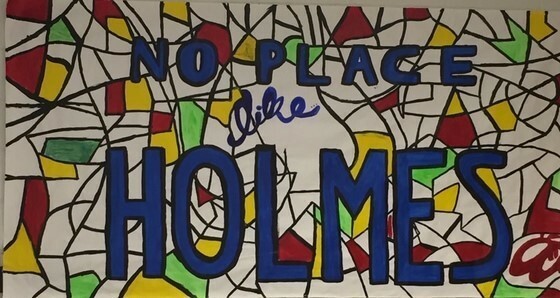 We have a big week at Holmes when we return from Spring Break! 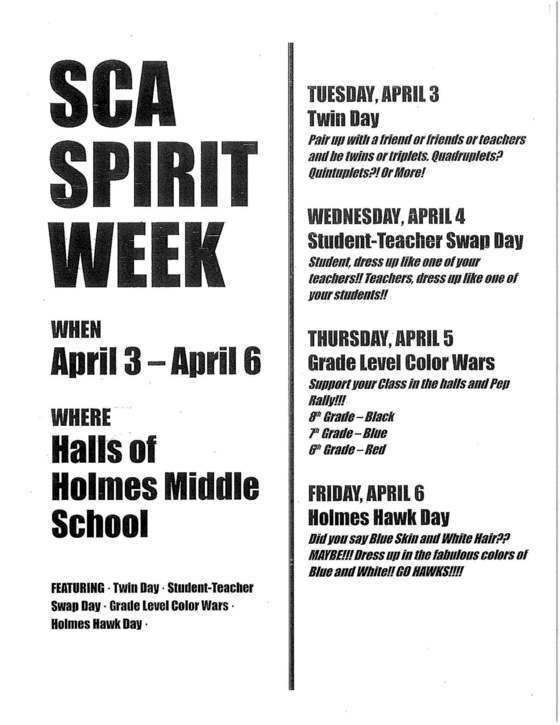 Leading up to our Annual Faculty Basketball Game / PTA Fundraiser, we will have a Spirit Week (see flyer below), a pep rally during 7th period on Thursday, April 5th, and the big game that night. Please contact Mr. Rob Hardin, our PTA president, if you are available to volunteer that evening taking money at the door, working concessions, selling SpiritWear, or helping the 50/50. 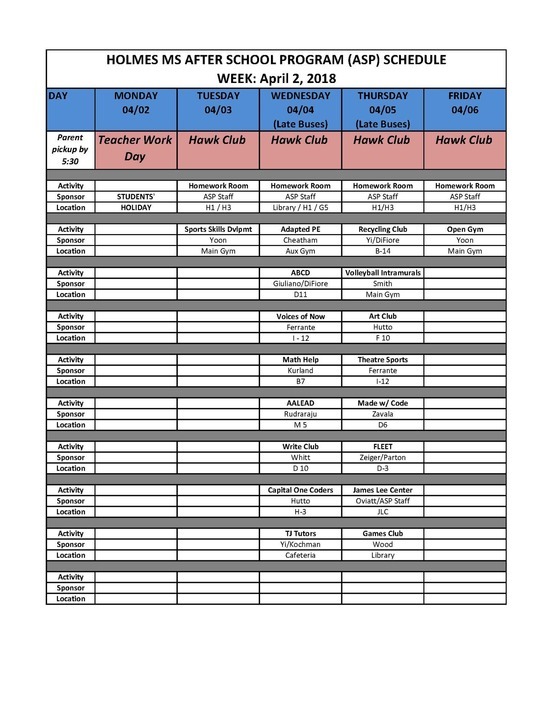 We have invited all of our pyramid schools to join us in the fun! Spring Break Opportunities for Students - Not too late! Please note that I will not send another parent update until Monday, April 2nd. Thank you, and have a wonderful week! 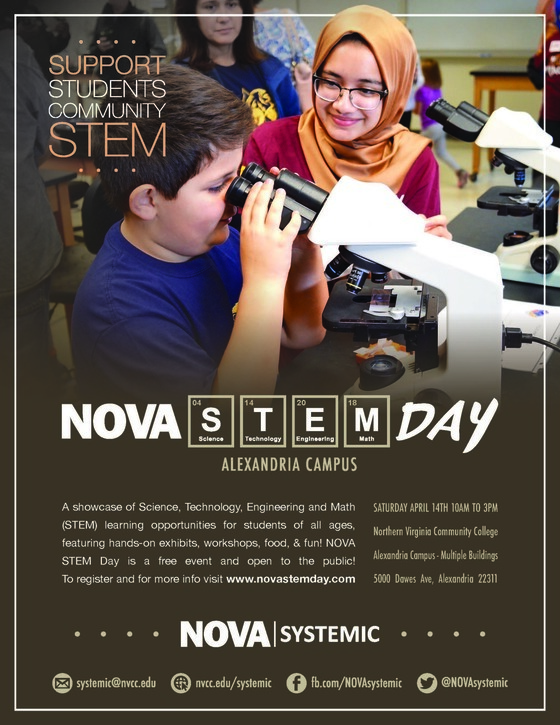 Click HERE to register your student! 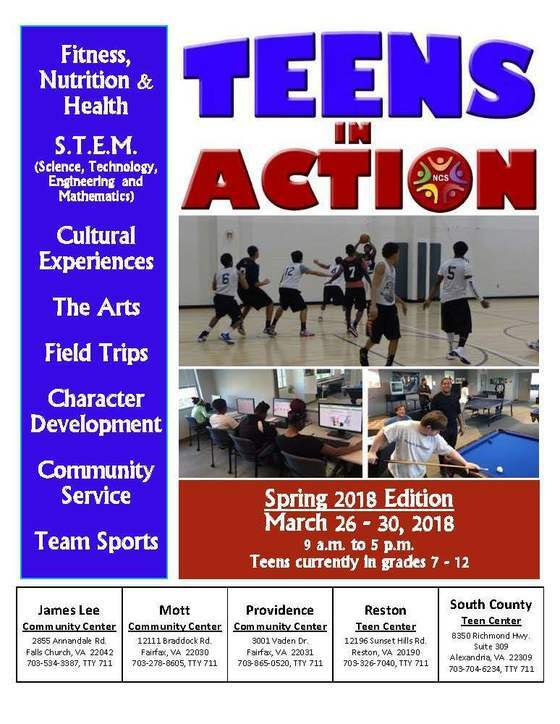 Click HERE fore information about Teens in Action, a service provided by Fairfax County's Neighborhood & Community Services. All 7th graders will be visiting the Hidden Oaks Nature Center for the Science 7 Meaningful Watershed Educational Experience between Tuesday, April 3rd, and Friday, April 6th. If you would be interested in being a parent chaperone, please contact Ms. Cara DiFiore at chdifiore@fcps.edu. All 6th graders will be visiting Washington DC on Tuesday, April 24th, and Wednesday, April 25th. If you would be interested in being a parent chaperone, please contact Ms. Lynette Faight at lmfaight@fcps.edu. 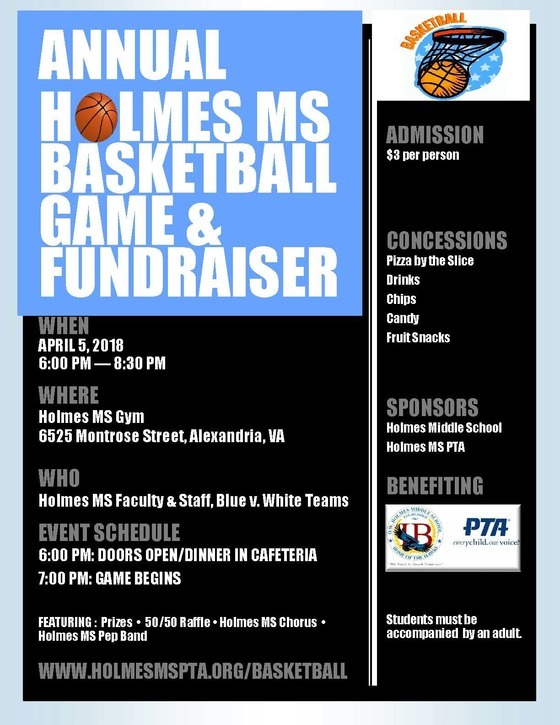 Join us on April 5th for our Annual Holmes Faculty Blue/White Game & PTA Fundraiser! This is a big family event each year, and we would love to have you and your children join us for a little friendly competition to help us raise money for our Holmes MS PTA! Our SCA is busy planning an exciting Spirit Week and Pep Rally in preparation for this event. Stay tuned for more information! Mark your calendars now for the 13th annual FCPS Special Education Conference, which will be held on Saturday, April 21, from 8 a.m. to 3 p.m. at Hayfield Secondary School. Go to the Special Education Conference website for further information and to register for conference workshop sessions. For initial (New) student transfers effective at the beginning of the 2018-19 school year, the enrolling parent will submit transfer applications and pay fees online. 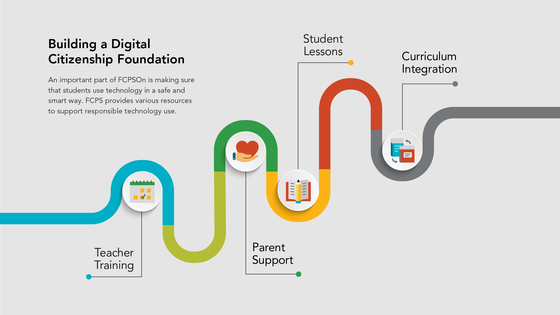 The enrolling parent will access the online student transfer application on the Student Transfer website at https://www.fcps.edu/registration/student-transfers. The application will be unavailable from 12:00am-5:00am daily for maintenance. The following staff may access the online student transfer application administrative view at http://fcpsnet.fcps.edu/ssse/student-transfer/ logging in using their FCPS user name and password: Principals, Principal AAs, SIAs/Registrars, Middle/High DSS, and Elementary APs. 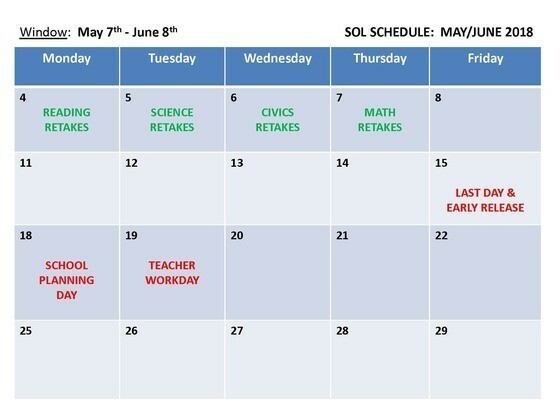 Weekly reminders will be emailed to the following staff if an application requires action: Principals and High School DSS. Decision letters from the Student Transfer Office will be emailed to: Parents and SIAs/Registrars. 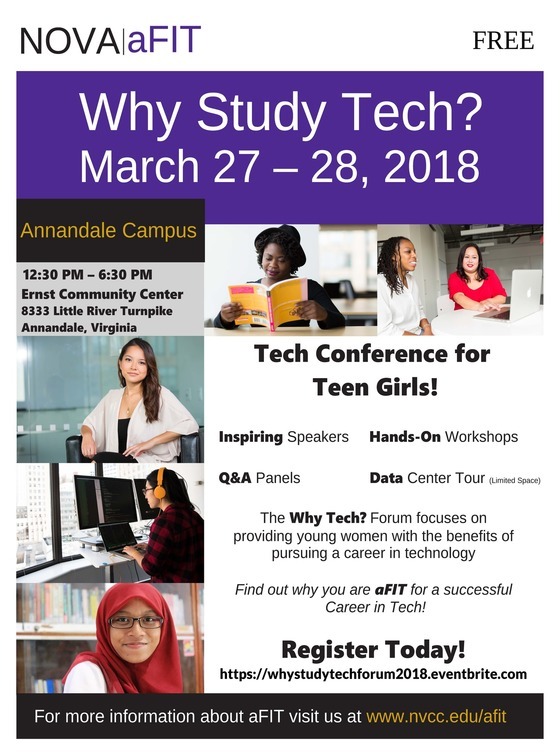 Over Spring Break, AFIT (Assisting Females in Technology) will be hosting a Teen Tech Conference for Girls at the NOVA Annandale Campus. The informational flyer (Why Study Tech Forum Flyer) is attached. Please share this with your female students who may be interested in attending.